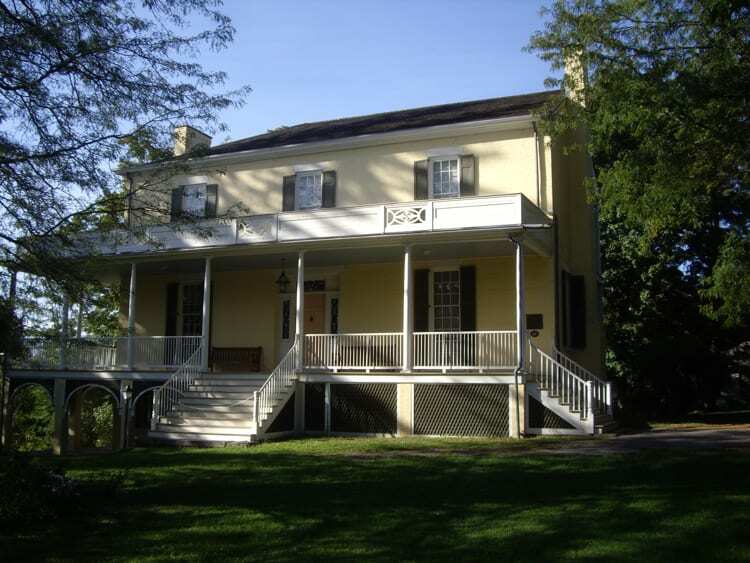 The Thomas Cole National Historic Site, located in Catskill, New York, is currently seeking volunteers to conduct tours of the house and studio. The organization is also recruiting Art Trail guides for their popular hiking program on the Hudson River School Art Trail where the views in 19th-century landscape paintings can be seen today in the Catskill Mountains. Volunteers are also needed for gardening and helping out at events. The staff of the Thomas Cole Historic Site invites interested volunteers to an Information Open House on February 15 at the historic site in Catskill. A lecture by Thomas Nozkowski, one of the artists in the 2015 exhibition, is offered as part of the Thomas Cole site’s ongoing Sunday Salon series. Participants in the 12:30 pm Open House will enjoy refreshments and complimentary admission to the 2 pm lecture. Everyone who comes to the Open House is invited on a behind-the-scenes tour that will provide the chance for a private glimpse into the museum while it is closed to the public, and ask questions about becoming a volunteer. As Gavilanes notes, “We are looking for volunteers – people who enjoy meeting new people and who have an enthusiasm for learning.” The Thomas Cole site staff will provide all necessary training for becoming a volunteer. No prior knowledge or expertise is required. Reservations are required for participation in the Information Open House. Admission is free. To reserve your place or for more information on this event and all volunteer opportunities at the Thomas Cole Historic Site, contact Melissa Gavilanes, Director of Education, at (518) 943-7465 ext. 5, or mgavilanes@thomascole.org. As the founder of America’s first art movement, the Hudson River School, Thomas Cole (1801-1848) is a central figure in the development of American culture. When Cole made his first trip up the Hudson River in 1825, thought-leaders were searching for something distinctly American to establish the nation’s own culture as separate from that of Europe. Thomas Cole found it in the Catskill Mountain wilderness, which came to symbolize the unspoiled character of the new nation. Lionized during his lifetime and celebrated by a generation of artists who followed in his footsteps, Cole is now widely regarded as the father of American landscape painting. 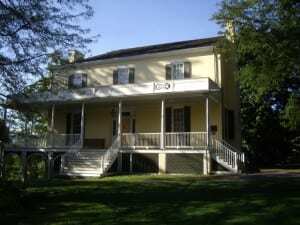 The Thomas Cole Historic Site, historically known as Cedar Grove, is where the artist Thomas Cole lived, worked, was married, and where he died at the age of 47. Today the site consists of the Federal style brick home (c. 1815) in which Thomas Cole resided with his family, as well as the artist’s original studio building, on five landscaped acres with a magnificent view of the Catskill Mountains. Photo courtesy Wikimedia user Dmadeo.